Troubleshooting your problem, repairing as needed and testing to ensure that the repair is complete. We work on Controls and Drives in machines, systems, HVAC drives, and in the shop. This includes AC (VFD) and DC Drives, PLC or Relay control, sensors, limit switches, photoeyes, temperature controllers, etc. Over 25 years of experience working on a multitude of different machines doing different processes. Folder Gluers for post press items, envelopes, and box machines. Printing Presses and associated equipment. Inserters, Binders, Stitches, Balers, Bag Machines, Tubers, Bottomers, Sewing Machines, Welders, Conveyors, Die Cutters, Flexo’s, Extruders, Street Sweep Brush Machines, and many other types. AC and DC Drives from many manufacturers like Yaskawa, Baldor, ABB, Emerson Reliance, Control Techniques, Danfoss, Parker SSD (Eurotherm), etc. Drives can be troubleshot down to a board or power component level, repaired, then tested. Older obsolete drives can be repaired and some down to component level with good schematics. We are an Authorized Yaskawa Service Center providing factory or customer start-ups and warranty service. We can supply Yaskawa Drives along with other manufacturers drives. We can also supply Baldor Motors (Authorized Distributor). HVAC Drives (or commonly known as VFD’s) can be repaired a lot of the time for less than the cost of a new one. Don’t just replace it. Sometimes the cost to repair is a fraction of the cost of a new one especially on larger HP Drives. Common VFD’s are Yaskawa, ABB, Cutler-Hammer, Square-D. 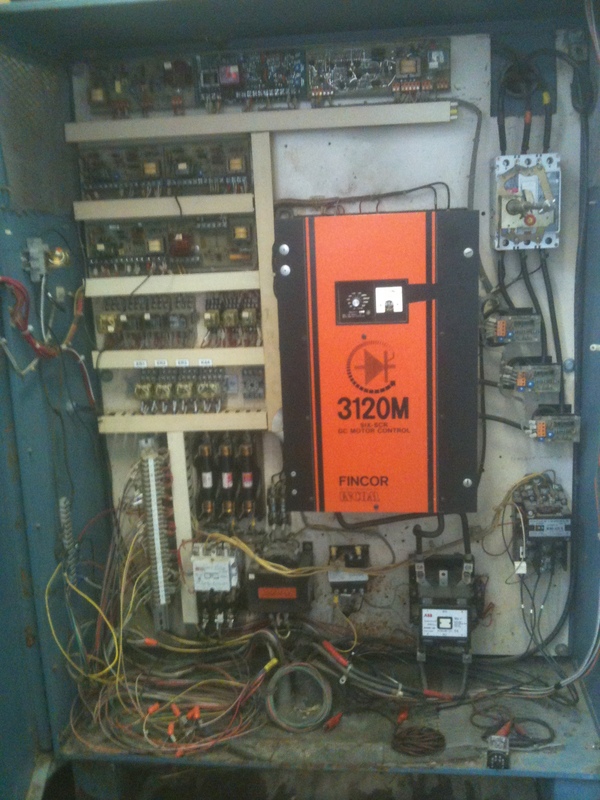 If the VFD is giving you a fault, we can help troubleshoot the problem. The first step is to determine if it is actually the drive. If it is the drive then we can determine if it is worth fixing, even on older models. DO NOT assume it must be replaced or retrofitted. You might be able to fix your VFD for a lot less than replacing. If you have a by-pass unit and the drive cannot be repaired, maybe you can just retrofit the drive portion and interface it to the by-pass. Maintenance on drives. Have you cleaned your drives lately. Heat Kills. We can set up a maintenance schedule to clean your drives. Filth can easily cover the heatsink which traps heat and will cause a failure. With a maintenance scheduled set up for your needs you may be able to prolong the life of your drive and get rid of unnecessary drive faults. Not a drive that needs fixed but something else? We have repaired other items like UV controllers in the printing industry, control boards from obsolete Italian machines, and other controls for specific processes. As long as we can get information if we need it, like schematics and parts are available, we can usually repair them. It could be a small problem like a bad part or fuseholder or a cracked solder joint.